Lovely morning. All ready to go – just plug in the caravan electrics – not going anywhere yet!!!! Unplug, replug, investigate, unplug, replug, investigate – blind leading the blind really. Get out useless manual – read useless manual. Unplug, replug – all working. What was that all about? Beep, beep computers – must be third time lucky logic!!!! Set off to Port Lincoln. 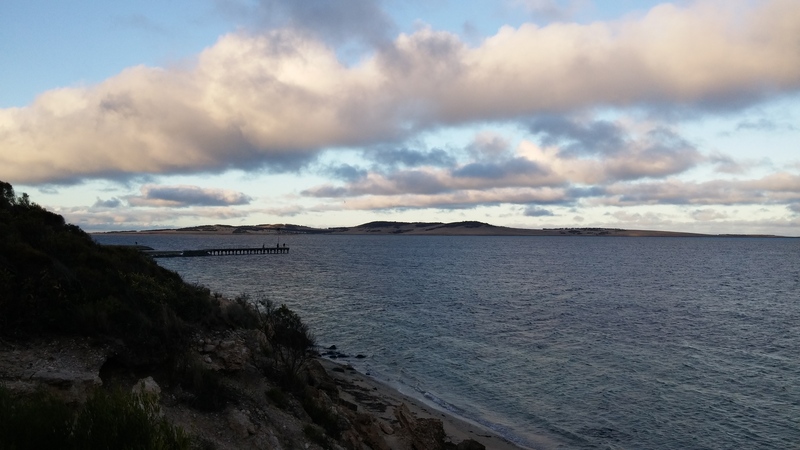 6 hours later arrive Port Lincoln Tourist Park. Robyn warned us to beware – they had put us on the cement terraces – no way. Cement = sun glare + extra heat – certainly not needed. Looked at as if we were mad when we said no way (in polite terms). 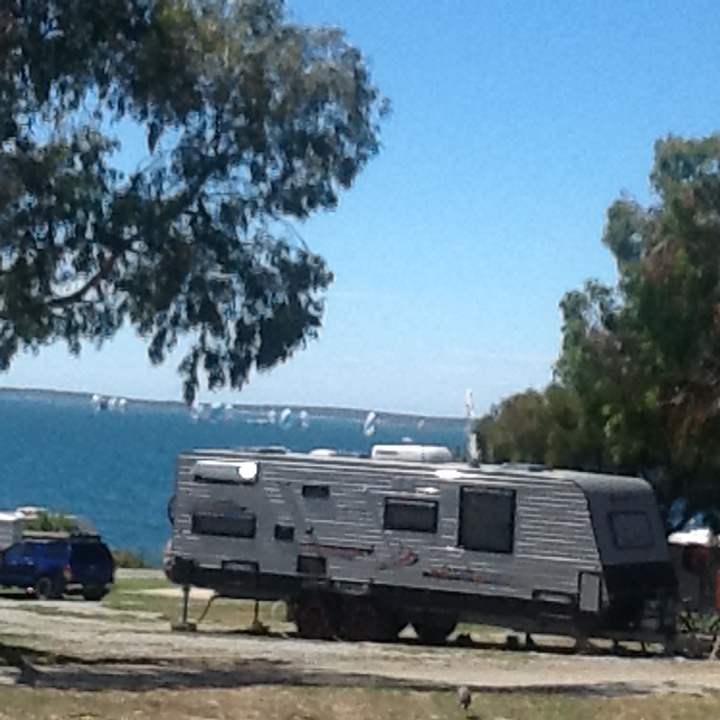 Found ourselves a lovely grassy shaded spot overlooking Port Lincoln Bay and a short walk to the beach. Roast beef in the Cadac and then excercise after supper. Lovely evening. 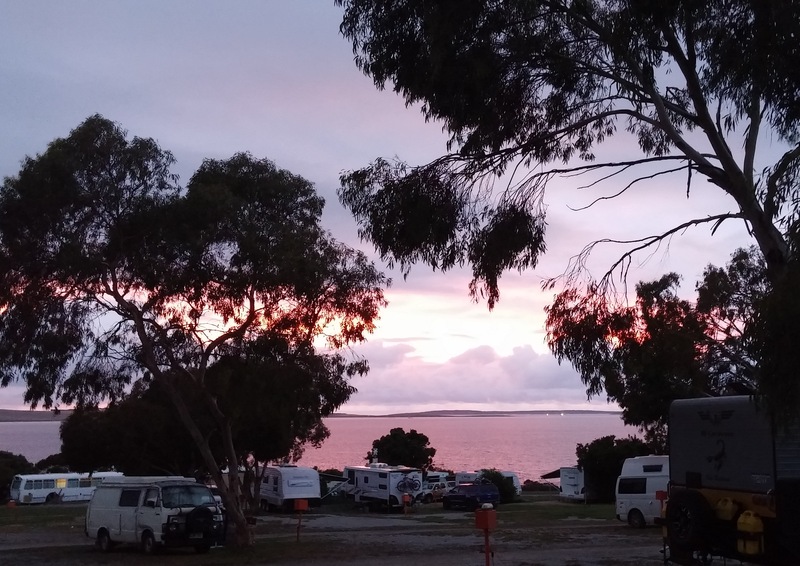 sunrise over the caravan park. Time for a walk – not yet – the heavens have opened again. Time to visit the Plum Farm again. Should have taken a photo of the pears – massive. Soooo juicy. Bought some enormous quinces as well as juicy plums. 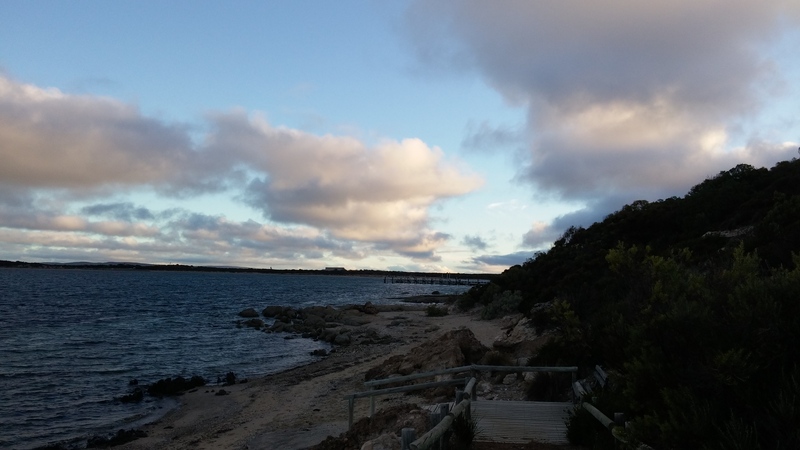 Now the sun is out we take a 2k walk around the large caravan park and along the foreshore. Decide we’ll stop here till end of March. Thought of going to the horse racing today – skies look threatening and it’s cold. Foreshore walk beckoned when the sun came out. Cooked up the plums and made a quince crumble – the van smells of cinnamon & cloves. Yummy. Physio 9am – Been niggled with shoulder & back pain for a couple of weeks. Jeez – how come they know the exact spots to hit? Guess I’ll feel better soon. 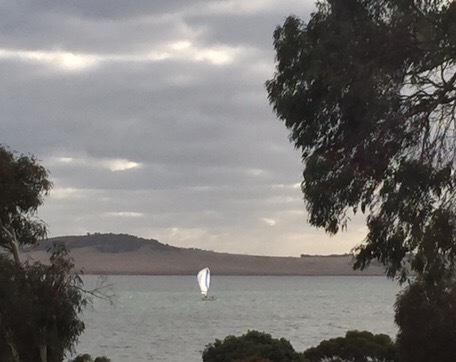 Port Lincoln regatta week. 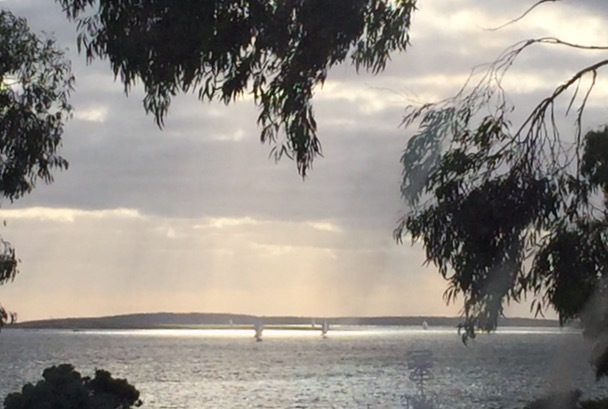 We have a great position to watch the yachts – no idea what they are doing – hope they do – but they look pretty and serene. Remind me of swans – all serene on top and paddling like mad underneath! This entry was posted in Uncategorized on February 22, 2016 by aloeliz.